The success of the Breedekloof’s wine region’s pioneering Chenin Blanc initiative at the international Cape Wine 2015 showcase has led to the formation of Breedekloof Makers, a band of like-minded winemakers committed to emphasising the quality of wines being made in the region, as well as accentuating the diverse terroir pockets. According to Attie Louw from Opstal Winery in Slanghoek, one of the Breedekloof’s wards, Breedekloof Makers is the result of a journey that he and a group of fellow winemakers began three years ago with the idea to craft small, boutique productions of Chenin Blanc in limited volumes. Louw and his fellow visionaries committed to each making a limited volume of Chenin Blanc from grapes grown on specially selected sites on the participants’ various properties. “Why Chenin Blanc? It is the staple white grape in the region,” he says. “Most of the wine farms in the Breedekloof are family owned, and some of them have been farming with Chenin for seven to eight generations. This personal track record with the grape extends to the various terroirs suited to Chenin in the valley. In the lower regions the soil is sandy with gigantic river pebbles, while higher up you find broken rock and sandstone. Up in Slanghoek rainfall exceeds 1000mm a year, while down in the valley they get 600mm. “A general feature of this area, is the slower ripening the grapes undergo due to the region being closed off by the various mountain ranges that allow the cooler night air to be trapped,” says Louw. Currently, Breedekloof Makers comprises 12 winemakers from wineries ranging from co-ops to small, family-owned boutique cellars. “Last year’s Cape Wine Chenin venture had nine members, and the successful reception of the initiative as well as the interesting wines that were made prompted more winemakers to get on board, with more to follow,” says Louw. 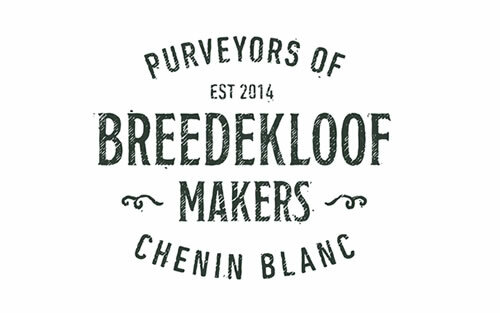 The name Breedekloof Makers was developed to underscore the fact that while the current focus is on Chenin Blanc, the movement is inclusive and open to any of the region’s winemakers who want to think out of the box and try something different. Prices of the wines range from R75 ex-cellar to R190 ex-cellar, and a collection of these wines can be bought via the Breedekloof Wine Valley Tourism Office. Visit www.breedekloof.com or contact (0)23 349 1791.